DMW rapper, Dremo is finally set to drop his highly anticipated "CODENAME" EP on Friday, July 20th, 2018. The rapper took to his Instagram page to share the cover art, tracklist and release date. 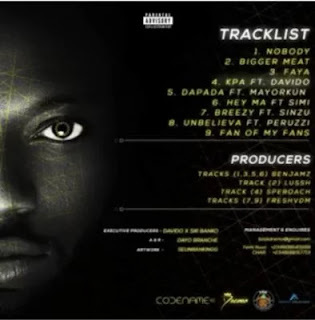 Dremo's CODENAME EP houses 9 tracks and features acts like Davido, Sinzu, Simi, Mayorkun and Peruzzi. According to his boss, Davido, the EP is set to change the face of the rap music on the continent. Davido also shared a part of the creative journey of the project. 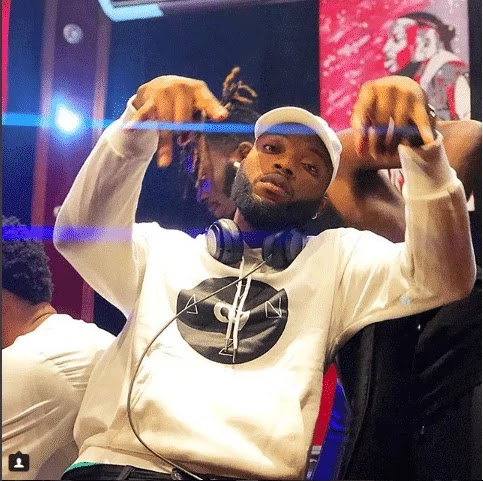 He stated that he had to fly Dremo to Atlanta to give the rapper the right atmosphere to create the EP.